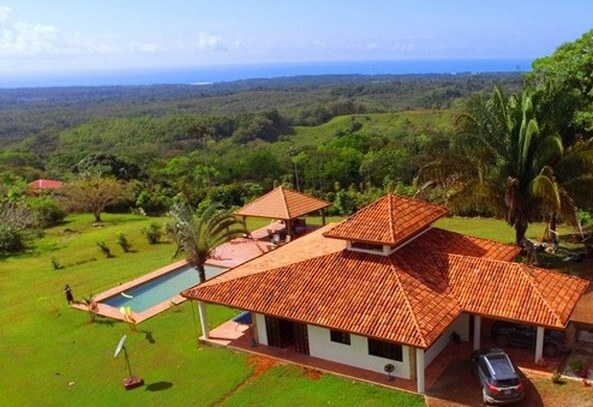 Casa Bella Vista: Very Unique Property A must see! Close to the beach with amazing views! This is an exceptional property! The main house was just remodelled and upgraded. The views from the property are breathtaking, some of the best I have seen on this entire coast and I have been doing this 13 years all over the Central Pacific. The 3 acre property is a gently rolling landscape and is almost entirely usable which is rare for a property with a view like this. There is an addional Ocean View building pad, there is Town water and also a private well on the property.